When we were cool, before ‘burbs, we lived in apartment block called The Wroxton. It doesn’t quite have the same ring as Melrose Place, but that was kind of the vibe. I had friends on the ground floor, and friends on the third floor, and my dear, dear friend Mrs Wilson on the fourth floor…..and of course, Anthony, the delightfully OCD, strata enforcer was on her floor also. I’ll get to Anthony another day but suffice to say that I had a great big soft spot for him, but not everyone in the building did. Anyway, I’m not talking about strata enforcement, I’m talking about dessert delivery. Every now and then after dinner, at about 8.30, there would be a little knock on my door, and the divine Mrs Wilson would be making a delivery. I love our new house, and I love the space it provides for my family, and the garden with the vegetable patch and beautiful big South Australian Honey Myrtle that offers such gorgeous, dappled, shade. No, I don’t miss much about our old life, but I really, really bloody miss Mrs Wilson’s cheesecakes , my friend, Mrs Wilson. 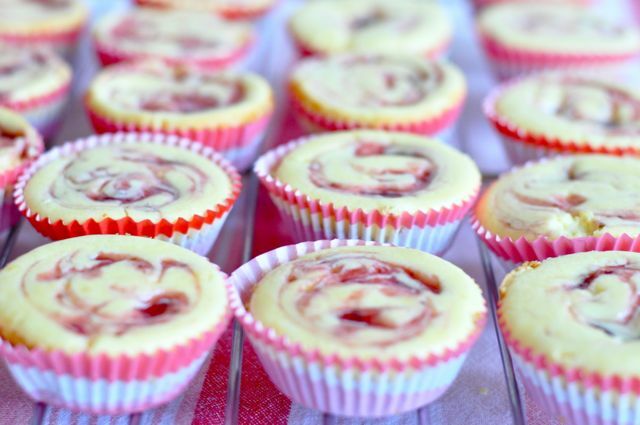 Seeing as my new neighbours are not the cooking kind, nor would I socialise with them even if they were (hate to be a snob but they are bogans in every sense of the word), I was simply forced to provide me with my own mini-cheesecakes. Mrs Wilson has since moved to Melbourne and the chances of her making a trip to give me some of that sweet, cheesy, biscuity joy is pretty damned slim-ola, so I had nowhere left to turn. Place cupcake patties into your muffin tins. You will need two tins. 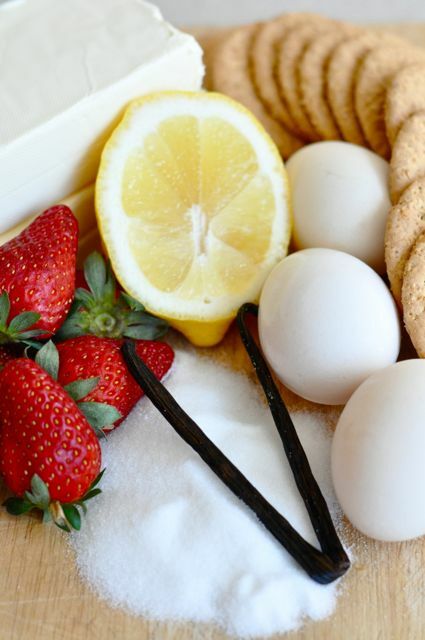 Place the biscuits in the bowl of a food processor and process until finely crushed. Add the butter and process until well combined. Use the back of a teaspoon to press the biscuit mixture into the bottom of your cases. Place in the fridge while making the filling. To make the filling, use your electric beaters to beat the cream cheese, sugar and vanilla in a bowl until the mixture is light and creamy. Add the lemon rind, lemon juice, egg yolks and cream. Beat until well combined and the mixture is light and fluffy. Wash and dry your electric beaters or a hand whisk to whisk the egg whites in a medium mixing bowl until stiff peaks form. 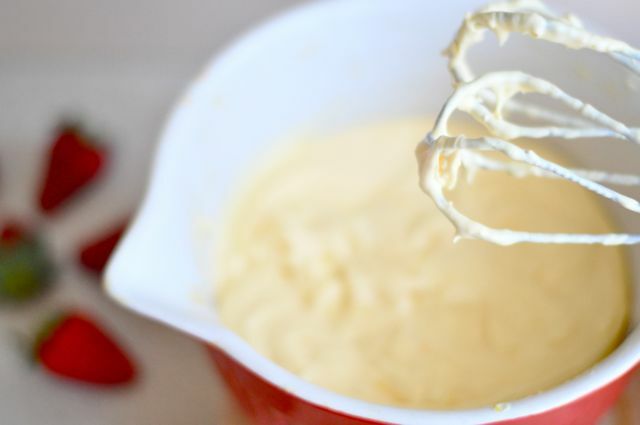 Add to the cream cheese mixture and use a large metal spoon to gently fold until just combined. Spoon mixture into prepared patty cases. 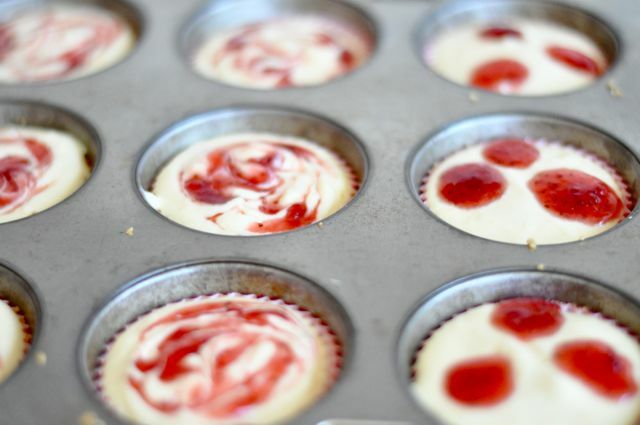 Heat your jam a little until it loosens and you place three dollops on each cheesecake. Use a skewer to swirl it through cheese mixture. Bake in preheated oven for 10-15 minutes or until golden and just set in the centre. Remove from the oven and allow to cool completely. Cover loosely with plastic wrap and place in the fridge overnight to firm. Remove from the fridge 10 minutes before serving. mmmmhhhhh 🙁 🙁 🙁 oh well, it was worth a try…..
Oh, alright then…. I’ll bring then to you. Can’t bear to see my new neighbor sad. What a great neighbour to have? thanks for the recipe too. Do you think Arnotts Scotch Finger biscuits would work for the base. My kids are shockers for opening biscuit packets and then leaving them in the cupboard to go stale. And excuse the whacky punctuation! Yeah, sure. I used Granita type ones but a shortbread base would be delicious! Thanks. Will post if I end up making it. Meant to be on a diet. Awe. I love stories about apartment communities. This reminds me of the quintessential neighbor friends series- Tales of the City. 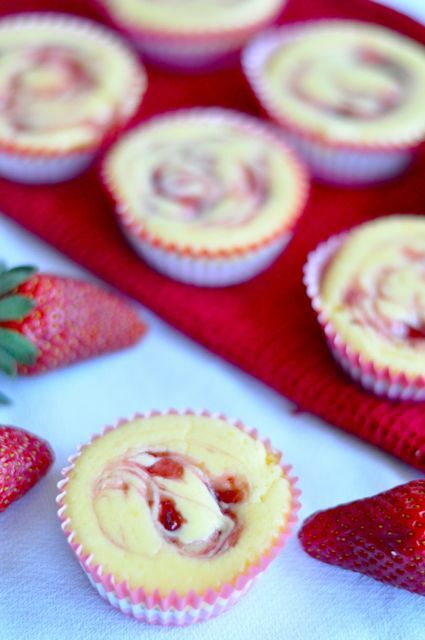 Those little cheesecakes are so perfect. Why haven’t they always come in tart form? You’re totally right. Bogans are not people.